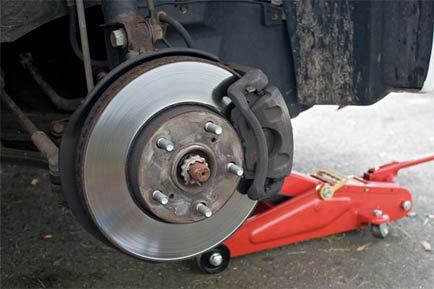 Brake Repair in Longwood, FL - EURO Specialists, Inc.
Over time, your brakes become worn and need to be replaced. Not only is brake maintenance an important part of your car's performance, but it is necessary for the safety of you and your passengers. With the high traffic volume and tropical climate in Florida, brakes are an essential component in ensuring that you are your passengers are safe to drive on the road, which is why a speedy brake repair in Longwood will be needed when your car begins to decrease in its performance. While our certified Master Level Technicians will be the ones servicing your vehicle, it is also important to note that you as the owner of the vehicle would benefit from learning for your brake parts relate to one another and affect the whole. When you are driving and need to press on the brake pedal, there is another part, called a brake pad, that creates friction and slows down the vehicle. This friction gives off heat, so a brake rotor takes this, and disperses it throughout the car in order to keep the brake pad from overheating. Without these 3 major components functioning properly, problems arise. Modern brake pads are designed using a metal part that will create a squeal-like noise as it wears down. This squeal will gradually become louder, creating an alert for you, the vehicle owner, to remind you to go and have your brake pads inspected. If you have any of the signs mentioned in the previous section, then it is time to bring in your car for a brake pad inspection. More often brake pads are the culprit as they are made to wear down over time. If a crack is found due to overheating, a mechanic near me will be sure to replace the pads and check the other related components to ensure all is safe for the driver after the service. Brake pad replacements take a bit of time and require the piston and calipers to be readjusted and placed over the new thicker brake pads. With the proper tools, your technician can finish this job within an hour or two maximum depending on the type of vehicle you own. "Outstanding service, truly professional and totally trustworthy diagnostics and maintenance." At EURO Specialists, Inc. you can schedule your appointment online instantly, and one of our staff will give you a call quickly to finalize the time of your brake repair. You are also welcome to call our auto repair shop.